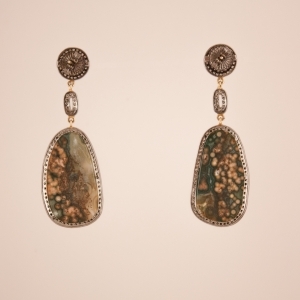 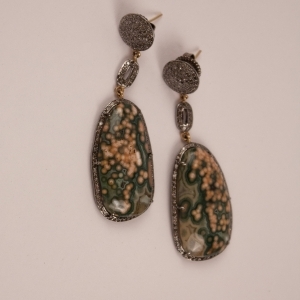 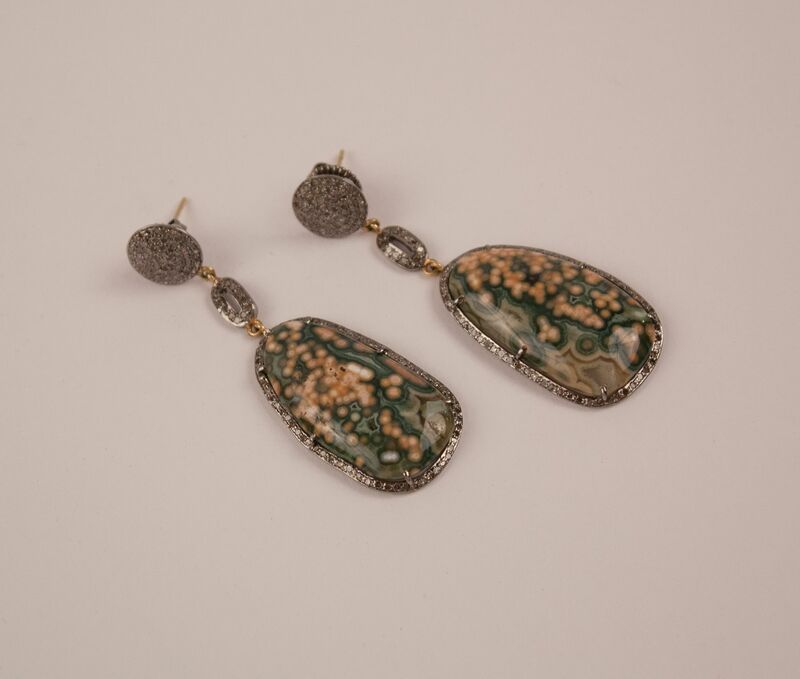 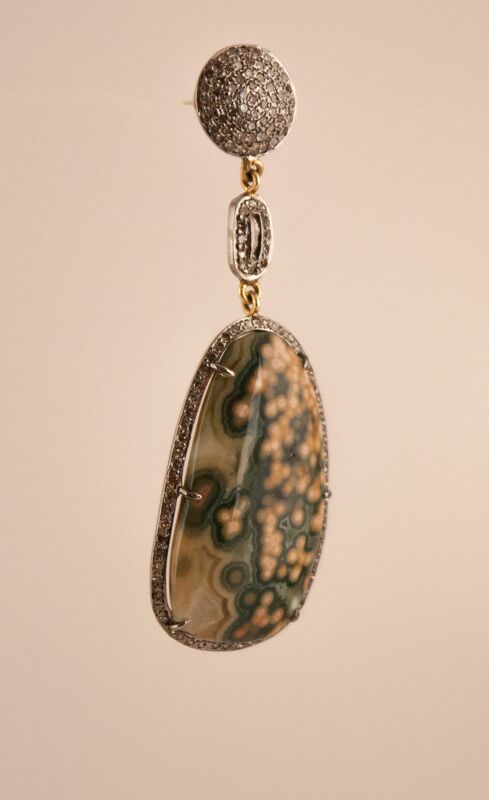 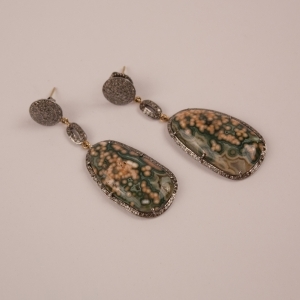 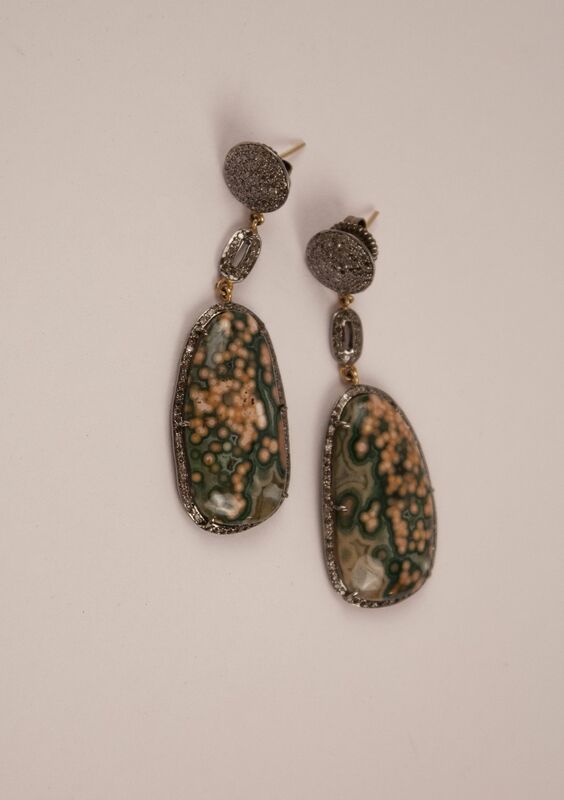 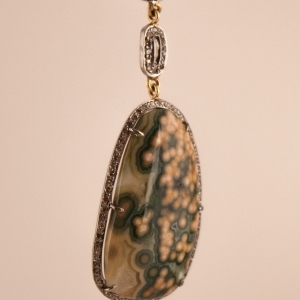 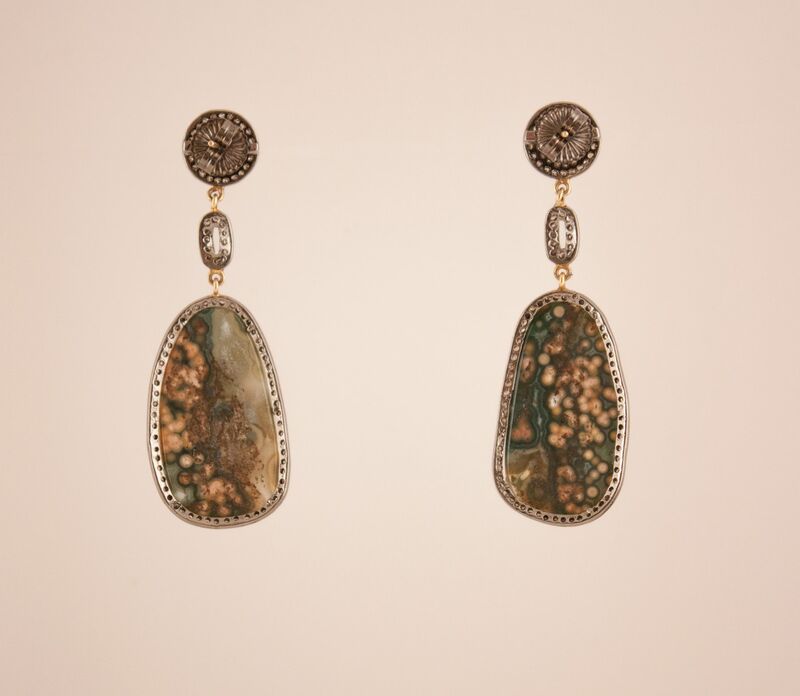 An exciting pair of jasper earrings with khaki green stones, dappled with tans and browns, and framed in diamonds pave set in sterling silver. 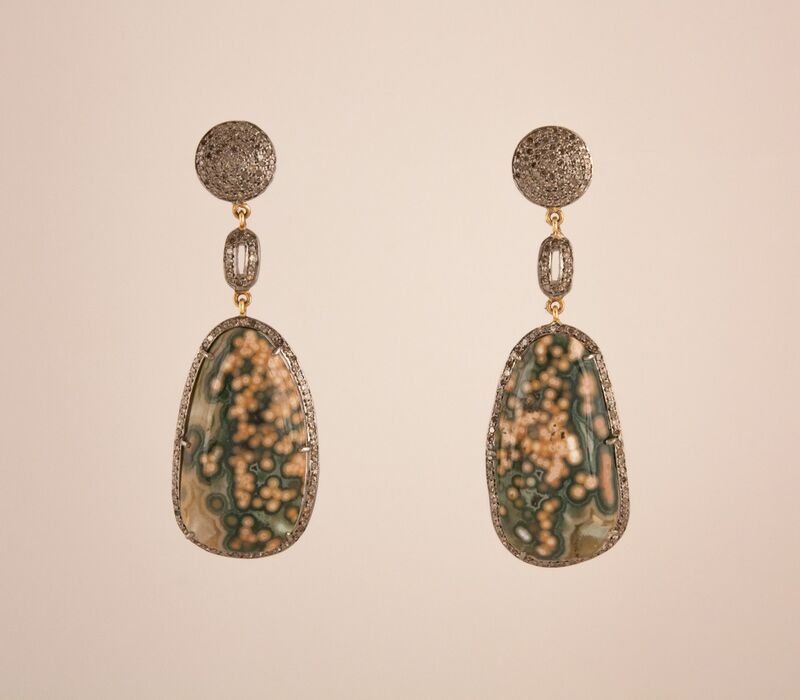 The well-matched cabochon quartz and chalcedony stones dangle from round diamond studs and diamond oval spacers. 14 karat gold posts.